Buildable Volume Mascara, or: It works! It all works. Lately, my fortysomething body hasn’t given my eyelashes much love. I’m not gonna lie, I used to have really long eyelashes. As with my really long toes, I’d always considered them one of my better features. Stepping out in flip-flops and a bit of mascara, I needed only to bat my eyes and flash my feet and hearts were mine for the taking. But in the last few years, my beloved lashes seem to be getting shorter and sparser. They seem to be, well, disappearing. (And yet my long toes remain. And are only getting longer.) I’ve been told that lash loss is one of the awesome benefits of aging but not to worry–the new hairs growing on my chin will more than make up for it. Last week, however, I learned that all of this was going to change. How? With a tube of the latest, greatest, miracle-making mascara. The sales “girl” (pretty sure?) at Ulta informed me that this new-and-improved formula would make my lashes thick, full, and oh-so-long, due to something called “buildable volume.” I asked her what “buildable volume” was and she graciously explained it to me. A Bob Ross Chia Pet! Could you die? 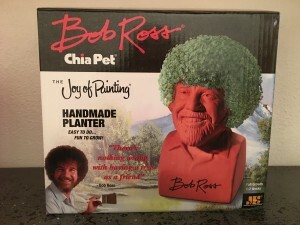 Like a standard Chia Pet isn’t cha-cha enough, they go and Bob Ross it up? Dee-vyne! It’s like his name was in the air this year. 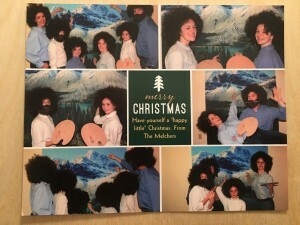 A few weeks ago, my son had a friend over who was waxing poetic about how freaking awesome Bob Ross is. 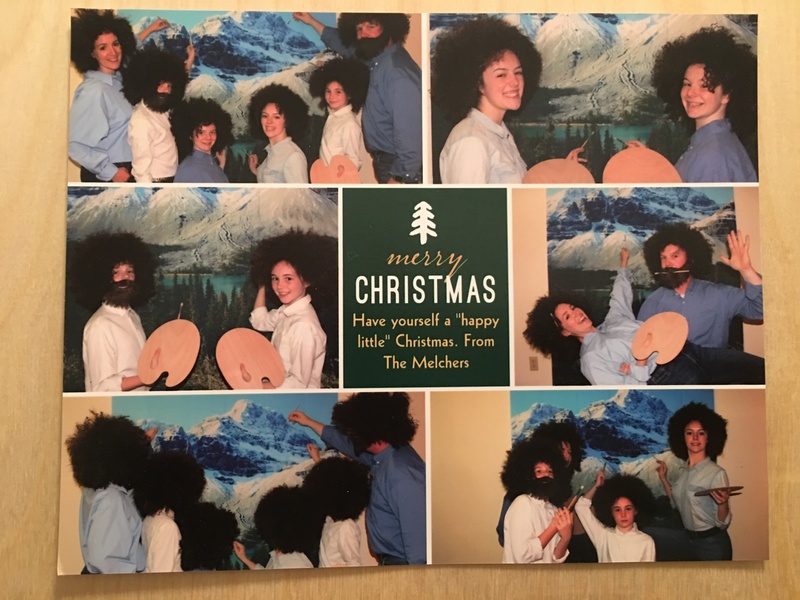 I found this delightful, having assumed that Bob Ross was forgotten with my generation of Shows We Watched While Faking Sick. Turns out he’s still stippling strong via You Tube. Who knew? Could you die? 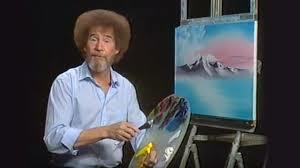 Who has friends this Ross-ome? WE DO.